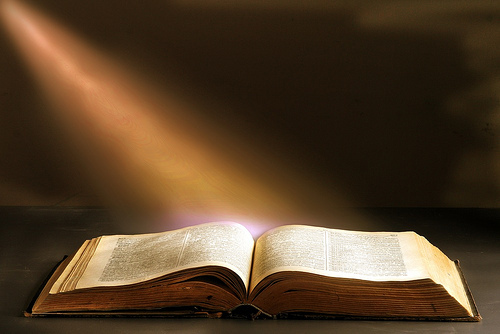 Psalms 119:89 Forever, O LORD, thy word is settled in heaven. Isaiah 40:8 The grass withereth, the flower fadeth: but the word of our God shall stand forever. A highwayman once stopped John Wesley and demanded his money or his life. Wesley, after giving him the money, said, "Let me speak one word to you; the time may come when you will regret the course of life in which you are now engaged. Remember this, 'The blood of Jesus Christ cleanseth from all sin.'" No more was said, and they parted. Many years after, as Wesley was going out of a church in which he had been preaching, a stranger introduced himself, and asked Wesley if he remembered being waylaid at such a time. He said he recollected it. "I was that man," said the stranger, "and that single verse you quoted on that occasion was the means of a total change in my life and habits. I have long since been in the practice of attending the house of God and of giving attention to His Word, and trust that I am a Christian."